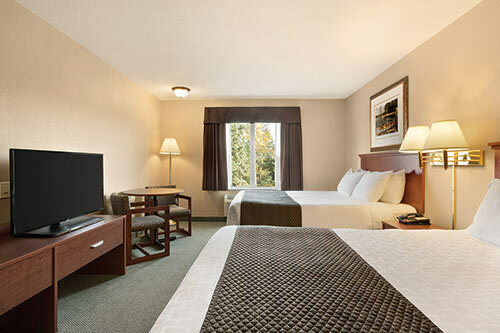 Days Inn Thunder Bay North is a favourite for business trips, medical travel, and weekend getaways. 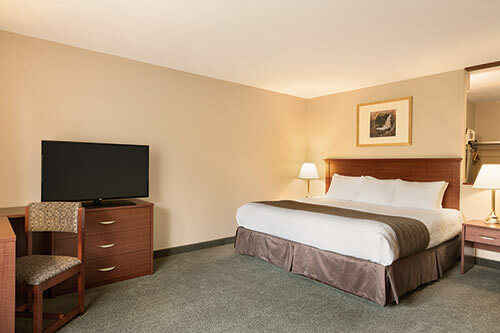 Free breakfast is included with every stay. Get a great night’s sleep at Days Inn Thunder Bay North. Our 92 well-appointed guestrooms and suites feature Simmons® Beautyrest® mattresses and several other comforts of home. 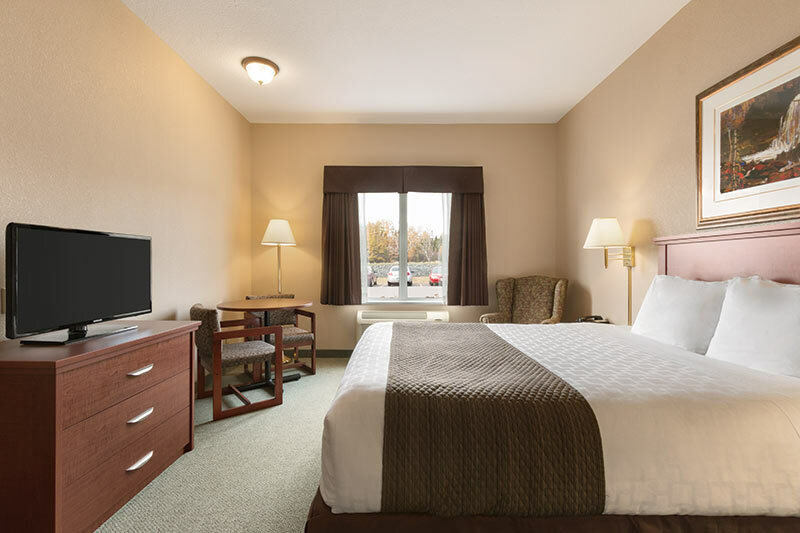 Rooms also include modern décor, free Wi-Fi, coffee maker, and mini fridge that are great for storing medications or cold drinks. 2 Queen sized beds, table with two chairs. 1 Queen sized bed, wingback chair, table with two chairs. Accessible bathroom with tub. All rooms are located on the main floor. 1 King sized bed, 1 sofa bed, work desk and chair, table with two chairs. 1 King sized bed, 1 sofa bed, table with two chairs, work desk. Accessible bathroom with tub. 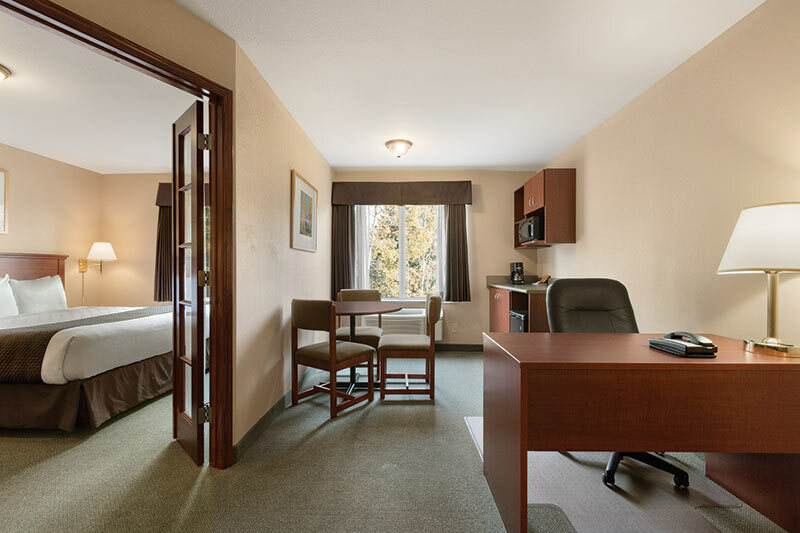 All rooms are located on the upper floors. 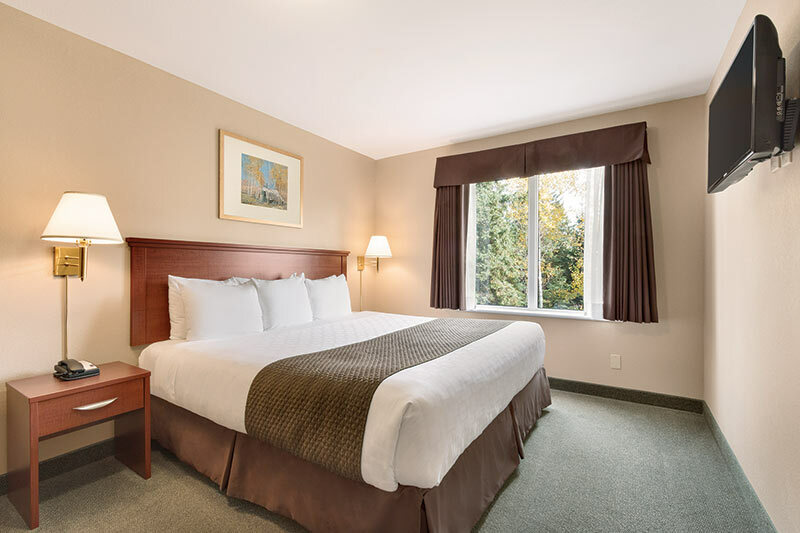 1 King sized bed in separate bedroom, living room with sofa bed and wingback chairs, work desk with ergonomic chair, microwave, table with two chairs. Days Inn Thunder Bay North was recently named ‘Property of the Year’ and ‘Housekeeping Team of the Year’ by Days Inn Canada.